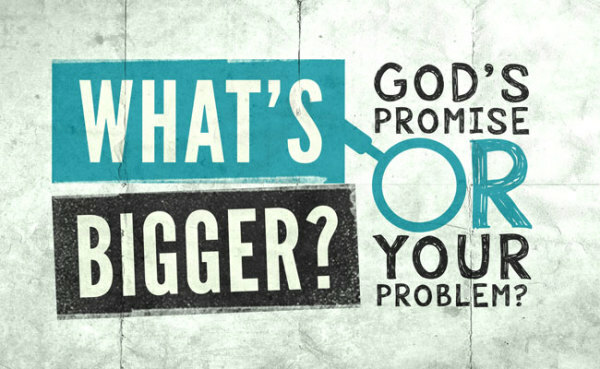 Focus on the Promise, not the Problem! So, I give the same gift of truth to you as well. That situation that is painful and overwhelming will not improve until you refocus! All things work together for our good, right? So, why are you so focused on what is going wrong? The good and the bad are both working for you and when it is all said and done, you will come out with the victory! Stop with the "why me? 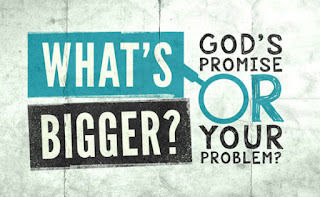 ", stop with the pity parties, and start declaring the promise! What did God say about your future? What did God say about your healing? What did God say about your finances? I know it looks a little dark and gloomy now, but morning is coming! Remember, I'm not telling you anything that I did not have to tell myself first. Has my situation changed? Nope. Did things get better over night? Nope. But, I decided to pull myself up by my bootstraps and employ my faith. So, while the situation has not changed [yet], my focus has. I can not control what is happening around me, but I can control how I allow it to affect me. Make a choice today to stop allowing external things to impact your internal peace. Want to feel better, think better! Want to be better, do better! Want to see things change, trust God! In the words of my beloved Pastor, "How you go through determines how long you go through." Stop complaining and start declaring! The victory belongs to you! Romans 4:18-20 "Against all hope, Abraham in hope believed and so became the father of many nations, just as it had been said to him, “So shall your offspring be.” Without weakening in his faith, he faced the fact that his body was as good as dead—since he was about a hundred years old—and that Sarah’s womb was also dead. Yet he did not waver through unbelief regarding the promise of God, but was strengthened in his faith and gave glory to God, being fully persuaded that God had power to do what he had promised." Have a great week ON PURPOSE!